The Opus 800 series is built for power and performance. 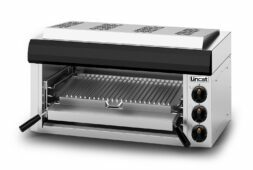 High volume, high quality cooking is simple with the powerful Opus 800 series of 800mm deep oven ranges, boiling tops, fryers, grills, griddles, and bratt pans. 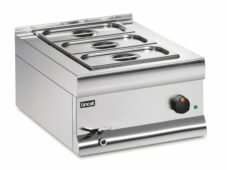 Designed to heat quickly, the Opus 800 series is made for non-stop establishments where kitchens are a constant hive of activity. 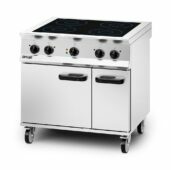 The equipment can go on cooking delicious dishes all day long, from breakfast through to midnight. 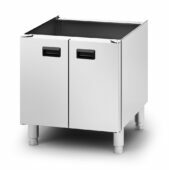 The strong, durable series comes with both electric and gas models, and can be configured in a variety of ways, such as with pedestals and stands. Create a seamless, stylish look that’s perfect for front of house and open kitchens. 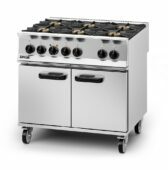 The heavy-duty Opus 800 series is perfect for the most demanding of kitchens. 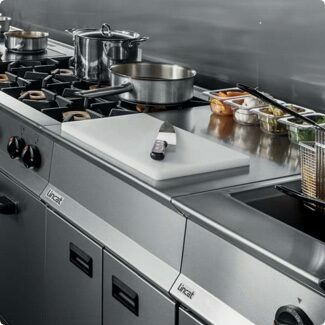 If your kitchen barely stops, then Opus 800 is the series for you. 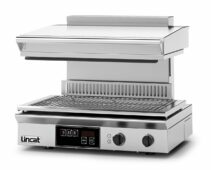 Is your kitchen constantly under pressure to deliver delicious dishes at high volumes? If so, you’ll find what you’re looking for in the Opus 800 series. 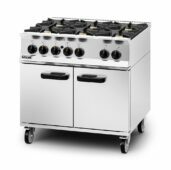 If you need to cook a vast quantity of meals for patients, the Opus 800 series has the capacity to deliver time after time. 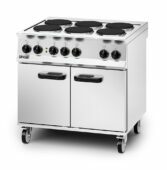 Hundreds of children waiting for their lunchtime meal is no reason to stress when you’ve got the heavy-duty Opus 800 series ready to go in your kitchen. 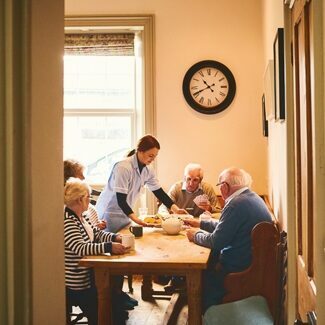 The Opus 800 series is designed for high output - perfect for when you’ve got to cook lots of meals at set times for residents. 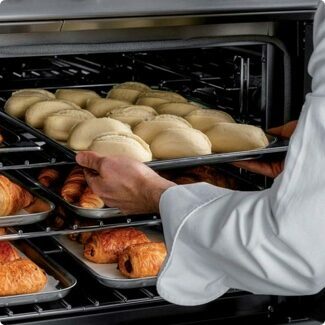 The power of the Opus 800 series means it can deliver vast quantities of quality food. It won’t let you down. Enjoy that distinctive chargrilled flavour without the need for messy lava rocks. 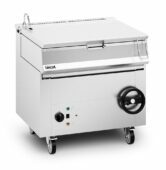 Our free standing electric twin tank fryers have dual independently controlled tanks. While a number of these units also feature optional gravity and pumped filtration, touchpad control programming and a basket lift system. 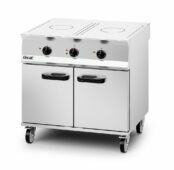 Our broad range of free standing gas fryers are ideal for a wide variety of needs with a number of these units also featuring optional gravity or pumped filtration facilities. These units can be powered by natural or propane gas fuel. 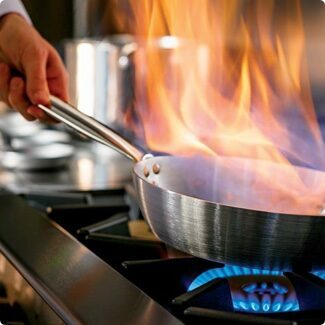 Our free standing twin tank gas fryers feature dual independently controlled tanks for cooking a range of foods without any transfer of flavour. 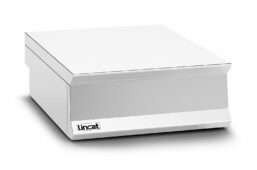 These units are available in natural or propane gas-powered options. 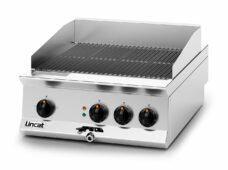 Creating the perfect Full English Breakfast has never been easier than with our electric griddles. Chrome and ribbed plate versions available with options from 300mm to 900mm wide. 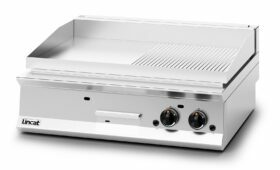 Plug and play models available. Creating the perfect Full English Breakfast has never been easier. Chrome and ribbed plate versions available with options from 300mm to 900mm wide. 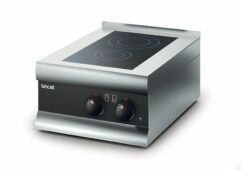 Plug and play, as well as natural and gas models available. 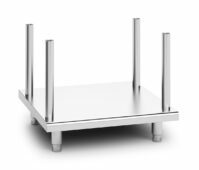 We produce a variety of stands that have been specifically designed for use with the Silverlink and Opus range of equipment. Designed to be suited with Silverlink 600 and Opus 800 series equipment, our work tops provide a useful workspace. A variety of powerful electric ovens with different capacities. 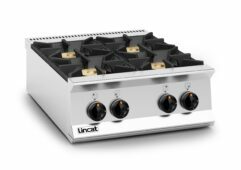 A variety of powerful gas ovens with different capacities. 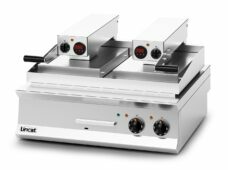 Ideal for several types of cooking, such as the stewing, boiling, poaching and braising, to the shallow frying of food products — highlighting the incredible versatility of this range of equipment. 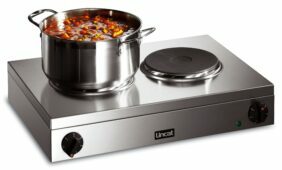 Induction hobs are almost twice as energy efficient as gas hobs, and they cook quickly. 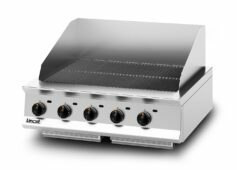 We produce a number of different electronic Salamander grills across the Lynx 400, Silverlink 600 and Opus 800 series. Depending on your specific use case there's a Salamander grill suited to your needs. 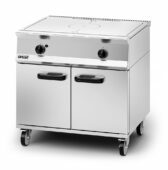 There are a number of gas Salamander grills to be found across the Silverlink 600 and Opus 800 series. Whatever your requirements are there's a salamander grill that's ideal for all your needs.